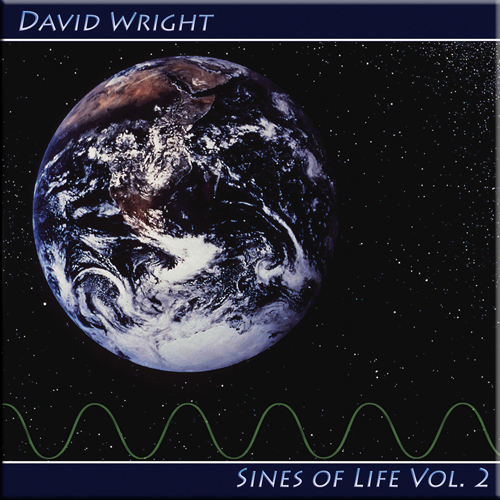 ‘In Search of Silence’ was David Wright’s 23rd solo CD, first released in 2011, and remains one of his personally most satisfying creations. This 2016 CD and download re-issue has been subtly remastered from 24 bit audio to enhance an already superb musical experience. This also means downloads are now available in true 24 bit flac and apple lossless. In keeping with his best award winning journey style albums it offers an extraordinary emotional roller coaster ride through instrumental music moods and styles, while retaining a coherence and strong sense of purpose. It’s an epic album full of emotive and memorable themes and is instantly accessible, The music reflects the ebb and flow of life, reminding us that everything changes and nothing stays the same. This is one of David’s finest works, with a strong sense of maturity that will amaze even his most ardent fans and it’s sure to win a lot of new fans as well. From ethereal atmospherics to gentle drifting space music, through foot tapping, mellotron dominated sequences to lounge chill out and ambient, David links the complexity of life to music in style, presenting some truly awesome soundscapes. David’s emotional sensibilities and creativity have never been better and the beauty and optimism running through this superb album makes for a very classy and uplifting gem. “David’s emotional sensibilities and creativity have never been better – In Search of Silence is a beautiful and classy release that is destined to become David Wright’s seminal album”. Video is promotional only and not included on CD or in download. This is the brand new 2011 album from a man who is now becoming one of the ‘EM’ scene’s longest standing survivors, and probably now the premier maker of melodic electronic music in the UK. He undoubtedly has the finest blending of melodic flair and flowing rhythms that is around today, and if that’s what you’re after – tuneful music with substance – then believe me, this emotion fuelled album will be par excellence for you. 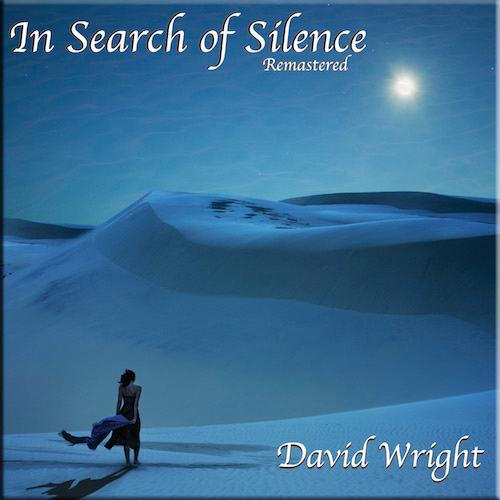 ‘In Search Of Silence’ is David Wright’s 23rd solo release and in keeping with the best of his past works, it offers an extraordinary emotional roller coaster ride through many moods and styles, while cleverly retaining a coherence and strong sense of purpose. Almost a year in the making, ‘In Search Of Silence’ is an epic album full of emotive and memorable themes, making it instantly accessible, while reflecting the ebb and flow of life as it goes, reminding us that nothing ever stays the same for long, and guess what – David has taken up the Mellotron (or the sounds of it at least) and added a new dimension to much of what he does on his new music. So, what is it like then? After the beautifully atmospheric, slowly building sounds of ‘Sanctuary Prologue’, which features an organ lead later joined by distant heavenly choirs, we are treated to one of the most joyously melodic / rhythmic tracks David has produced in years with: ‘Transylvanian Lullaby’. 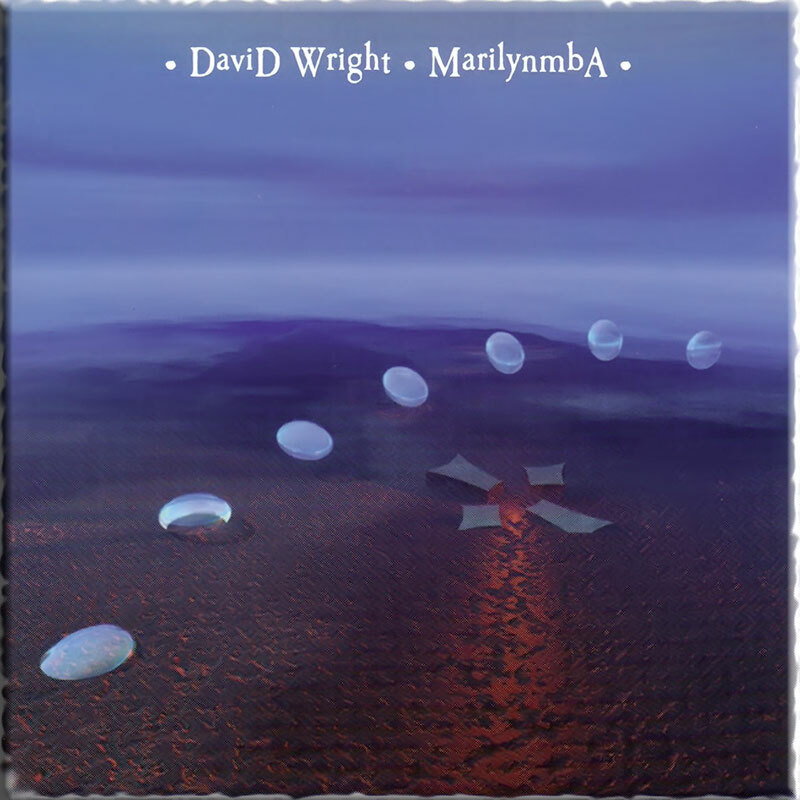 This is pure, instantly recognisable David Wright music, with an ear catching melody line that, after a haunting opening five-minute passage, is developed and worked over a slowly twisting train-like rhythmic flow, and it’s a fantastic eight-minute spell that just sweeps you off your feet and holds you up there for its entirety. There are a few synth musicians around that can come up with a fantastic melody line and hold it for a short time, but can’t seen to do much with it after the initial fire has been lit, but not David Wright – He is a craftsman in the art of being able to squeeze every ounce of listening pleasure from such a tune, developing, evolving and expanding the theme far beyond what it was at the start. ‘Transylvanian Lullaby’ is a perfect example of that art! ‘Shine On Cassini, Shine On’ is a short emotional piece with a dreamy synth lead set over a soft sea of choral heavenly, angelic voices that almost had me reaching out for the hanky box, then cross-fading into the equally beautifully floating feel of ‘Echoes Of Air’, but this time the powerfully evocative melody line is driven by a slow delicate rhythmic texture, and this time I really did have to grab a Kleenex to wipe away a tear – A truly moving, emotion filled track featuring some inspired moments of true musical beauty. ‘Sanctuary Reprise’ continues the spacey, atmospherics of the album’s opener with more organ and heavenly choirs, then it’s straight over into the albums longest track: ‘In Search of Silence’, where a string theme gradually emerges from a calm, fluid backdrop. Tabla rhythms keep the flow going whilst David works the melody line into new shapes and guises as the track builds in intensity (if that’s the right word?). At the halfway mark the piece is moving freely with Moog melodies soaring in and out of the background. A rolling harp breaks the flow at the nine-minute mark and the theme goes back to a more simplified version, with alien choral sounds adding a new background texture. Regimented tabla and drum sounds keep tight control as David finds some new ways of treating the main melody line until the final minute where it gets stripped back to a magical spacey place where shooting synth stars and rippling harp synth sounds provide the bridge to cross into: ‘Debussy In The Mist’, where deep rolling synth sounds introduce a lone female voice sample emerges. A new theme rises up through the sounds of a slow, echoed sequencer rhythm, and a single string synth continues with the melody line until Mellotron strings and flutes take over to slowly bring the evolving track up to the crossover point where ‘Alchemy’ takes over. This track starts with an Eastern tinged Mellotron lead line, then, though a hail of different sounds and textures the theme twists and turns through a busy market place of musical sounds, before the rhythm strikes up and grows in power very quickly, taking you off on an enchanting flight over exotic landscapes, weaving and wavering in and out of different places as the flight continues. A lull in the middle signals a new build-up, and the driving rhythms gradually lead us back to the point where the ride started, and into a peaceful, tranquil Mellotron based setting, and preparing us for… ‘Calmer Waters’ where a wistful Mellotron flute dances airily before a slowing shuffling rhythm emerges with piano leading the way over a soft bed of string synths, before closing on a tranquil sea of textural atmospheric sounds. The wistful ‘Sea & Sand’ is next and it features a Mellotron flute theme in an ethereal Celtic drone setting, and as you would have expected, it’s very atmospheric and dreamlike in its make-up. The album’s 2nd longest track is: ‘Worlds Beneath’ and it is eleven minutes of David Wright at his Space Music best – the kind of music you can just get lost in as it evolves and flows around and within you. It features a very simple, yet haunting VANGELIS-like synth theme that will make you think of these CARL SAGAN ‘Cosmos’ TV series episodes, and as the track develops, a rhythm slips in almost unnoticed under a backdrop of heavenly choral (Mellotron) textures and strings, which are amply used in the background during this flight of fantasy, giving an epic feel to the picture it creates, and once you are on this fight, you won’t want to come down. Again David displays the art of finding a melody, fine tuning and steering in new directions to enable it to slowly evolve without making it repetitive or boring. THIS is gorgeous stuff and a perfect example of how space music SHOULD be done! ‘Sanctuary Epilogue’ closes the album with another dream-like passage of true ethereal beauty, completing the ‘Sanctuary’ trilogy and the ‘In Search Of Silence’ album in the same tranquil mood that is started almost eighty minutes ago. Make no mistake, ‘In Search Of Silence’ is as good as anything David has produced in 25 years of making instrumental electronic music – It’s a cross between ‘Walking With Ghosts’ and ‘Dreams & Distant Moonlight’, but with an added sense of maturity and panache that will amaze even his most ardent followers and certain sure to win him over many new fans too. David’s emotional sensibilities and creativity have never been better, and the beauty and optimism running through this superb album makes for a very classy and uplifting new work to finish off 2011. 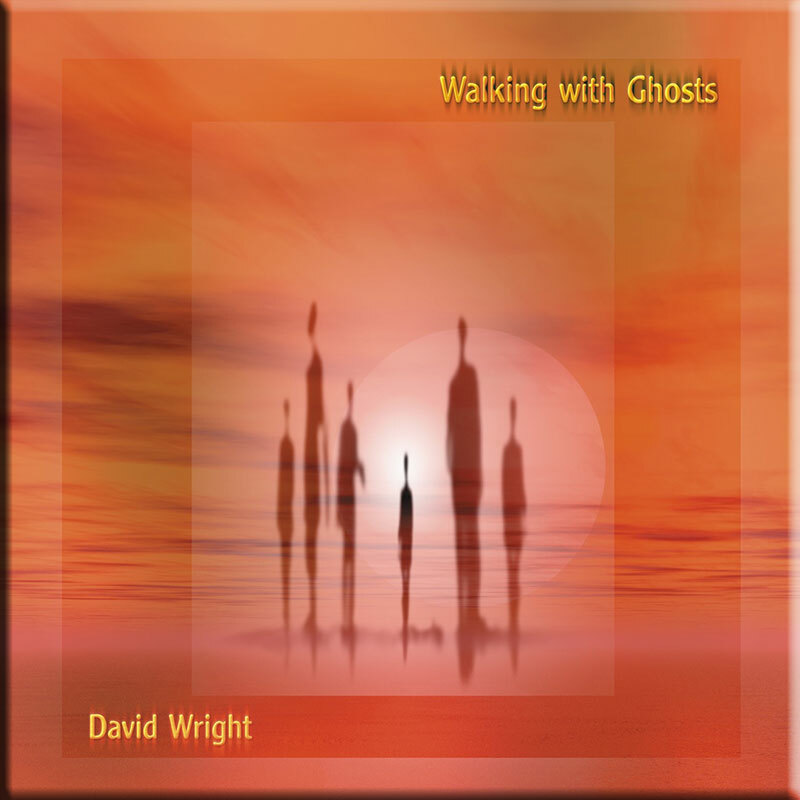 From ethereal atmospherics to gentle drifting space music vibes, through foot tapping, Mellotron laced sequencer tracks to Lounge Chill-Out and Ambient, David Wright links the complexity of life to his music in stunning fashion, presenting some truly awesome soundscapes. When an album begins with the sound of blowing winds and a female voice guiding your listening, you know you are deep into chill-out territory. Organ, deep and resonant, underpins tinkling sounds and heralds the arrival of a digital beat. This is a fairly obscure genre but one that persists, through the digital Tangerine Dreams of the Germans, ambient music, the Enigma of chill-out music to today’s New Age Music. David’s been around quite a slice of that time, working solo and in combinations like Code Indigo, Callisto and Trinity. He acknowledges you can get in a rut so he had planned to bring guitar in on this set but ended up consciously choosing to play it differently, spending much more time at the keyboard and less on the computer. He’s always had (paradoxically) an organic feel to his music and that is even more present here, as he picks out ever-sweet melodies and works through the permutations. These are lengthy pieces and variation is slow and floating, riding atop slow waves of deeper sounds and gentle beats. Older electronica fans will note the heavy use of a Mellotron soundalike. The Mellotron, relying on a loop of magnetic tape for each note had a uniquely warbly sound, especially once it got hot, and is much loved for its randomness and strange tone. Electronic samplers allow us the sound without the huge cost and unreliability. Certainly, here, they make for a spacey disconnect between the smooth modern production and the very sixties voice of the Mellotron. The overall effect is spacey and relaxed. Blips and light jangles flutter around a sweeping swell of stately progressing melodies, gently massaging the brain till, half way through, it is floppy and at peace. Then a woman’s voice comes in and gives a brief encouragement to relax before the final half carries you off into blissful calmness. David has missed out some of the grating memes of the genre – he has ethnic-sounding drums but none of the mock-world music chanting or fake Gregorian Chant that strike a note of falseness and disturb the reverie. The only things that will stir you are noticing things like the very cute and sweet melody on the title track. Where things get louder, like on Alchemy, with its pounding drums, it builds slowly before slowly guiding you back down again without any shocking crescendos. This genre is easy to make light of but there are times when this is exactly right for a mood – matching one or making one. This is going to be one of my favourites of the genre and I can see me with my feet up late at night, listening and pondering on nothing in particular.